I’ve said it once and I’ll say it again. Injustice and Kingdom Come screwed it up. It was supposed to be a Batman vs Superman story and they fell in the trap in forcing Diana on one side. Really though Diana would always fall in the middle or strictly neutral. Injustice it should’ve been she gave up on Man’s World in the Injustice Universe and the Diana for the good universe battle her to convince her to fight for Man’s World still. Diana is always better as the middle between Superman and Batman. She’s more idealistic than Superman, but also more ruthless. She’s more powerful than Batman, but not as vengeful. She’s the middle. Superman on Injustice is fighting for a lerverse version of her mission, while Batman is fighting for her core beliefs. For this the writers in C need brain, which they lack off. In their minde's the only way to make Diana and Clark interesting is making them ruthless edgelords. Yes. Diana could have made Batman realize his mistakes or help him to think about the matter or just make her own group to show her conflicts. Diana can be very violent and full of vegeance, but the good version of Diana would have been reasonable. 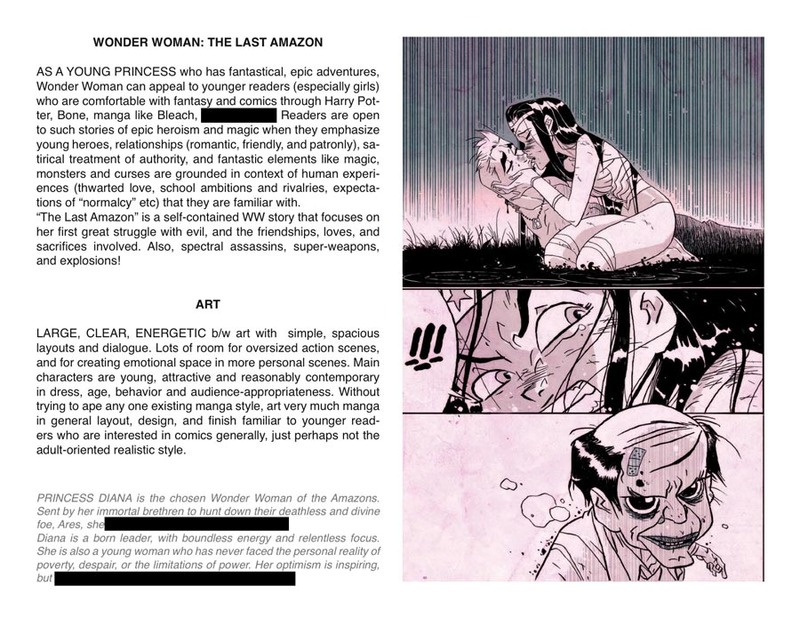 But, like you know, the DC bosses are Stuperwonder shippers and they like making us suffer and make Wonder Woman an assasin, like technically is the amazonian ideology, but they have to make it better. It's sad that WonderBat is still away to watch it canon. I don't mind her being ruthless, when time's needed , but I do mind when she is goddess-killing machine , who are above all until she can find stronger male, who can band her to his will. Obviously, many heroes are merciless when the situation demands it, I accept that. Even Batman has killed or would have done many times, intentional or unintentional. And, the worst thing that they have done to Wonder Woman is make her a murder machine merciless that just want to impress an alien. That's why I hate the New 52 Wonder Woman. Fortunately, the Wonder Woman rebirth is better than the other. Let's gonna hope that they don't make Wonder Woman like that again. You only can hope for DCEU, where they established enjoyable version of WW. Which can't be said about DCAU, also there are too many people who loved Kingdom Come, TDKR WW and Flashpoint movies. Kingdom come is not a movie, but saddenly, many people loves that movies. And, i I said we have to wait a long time to watch WonderBat in the DCEU. Yeh I know about KC, but in the end it's the same product as TDKR and Flashpoint. Damn my post done blew tf up lmaooo. Trust be told, I actually discovered this site years ago. I have hope, especially for fanbase. So something i have noticed a few times is a few people praising Bat-Man and Wonder-Woman of China as a couple, or Red Hood and Artemis as a couple, but in the same breath condemning the original WonderBat couple of Batman and Wonder Woman. Just because. Have you guys encountered any of that? Yes. And a grand many of them are historically inept to boot. They say things like "b-but canon! A-and Steve and Selina!!!" With absolutely no idea of the massive gaps and auxiliary interests in each other that Bruce and Diana have shared, because of... Nolan? Jenkins/Pine?? Rebirth??? I've never really gotten a reason outside badly rendered attempts at recounting false background narratives for BM and WW. I think the reason you see people praising the other forms of wonderbat and making sure to condemn the original is just plain and simple party politics. Now with that being said, it is possible that they only like Red Hood and Artemis and not Bruce and Diana but they usually go out of their way to say they hate Wonderbat. No one wants to be on the "wrong" side. Everyone wants to be on the winning side and let's face it Wonderbat ain't it. So people feel the need to say they like this but definitely not that. I hope the hive mind mentality comic book fans have disappear one day but it is what it is. Pretty much. If the BMWW else worlds stories catch on how long will it be before people want to see it in the main universe. 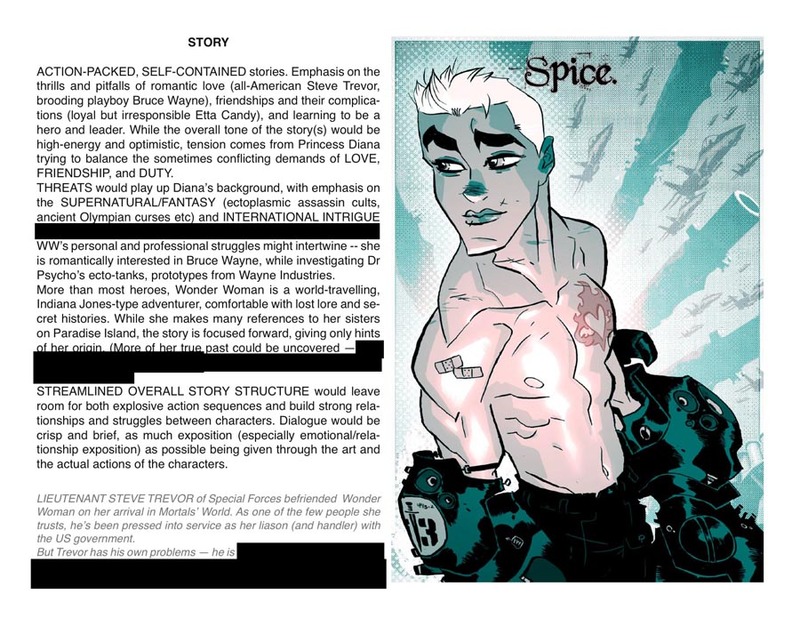 Hey, remember this old pitch Ben Cadwell did for a potential Wonder Woman book targeted at a younger audience that had Batman as a love interest (the other was Steve Trevor) and was rejected by DC? Just a nice trip down memory lane. This was back in 2010. Man.... Another missed opportunity. I'm starting to wonder if "DC" doesn't stand for "downright cowardice". Wtf are they so afraid of? I wouldn't say cowardice, since they will brave anything, including common sense, to push for *certain* ideas. It's more a case of lack of taste. 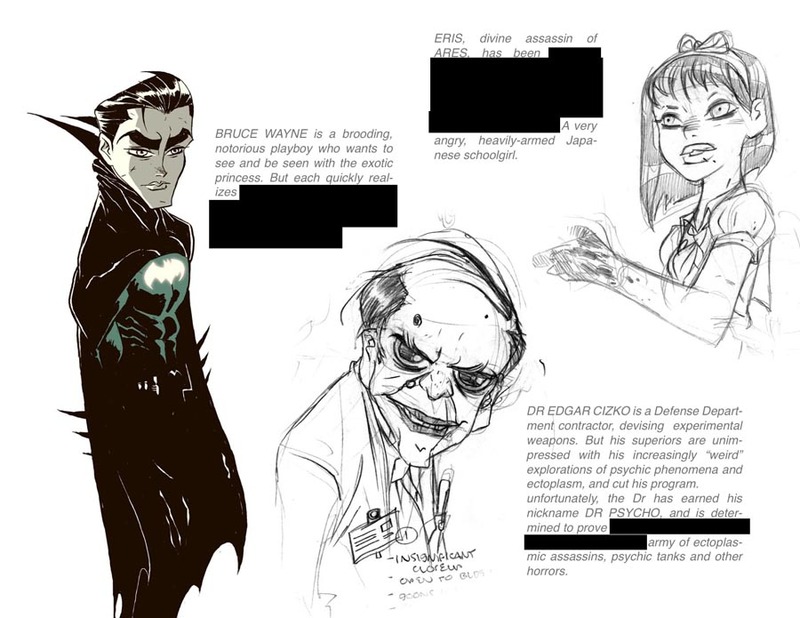 Interesting I have never heard of this project before I wonder what other ideas were pitched to DC only for them to say no. I remember Ben Caldwell's art because he did a Wonder Woman story in the short-lived Wednesday Comic that DC did a while back would love to see him work on Wonder woman again.